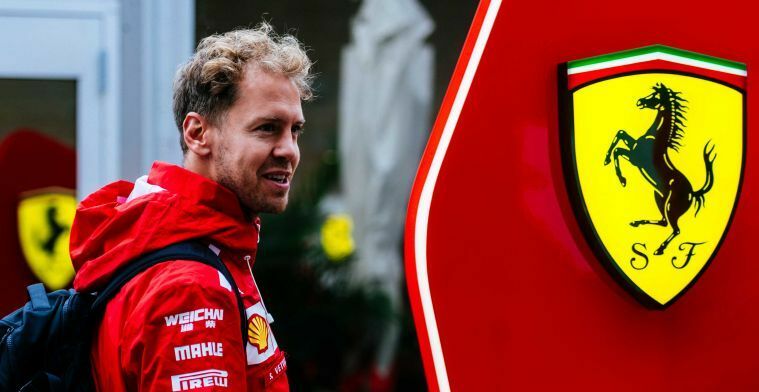 Ferrari driver Sebastian Vettel believes his team have taken giant strides in this season's constructors' championship, and Scuderia are very close to once again becoming world chamions. Mercedes have the chance to win the constructors' for a fifth-time in a row on Sunday; in a season where Ferrari have been more competitive than they have been in recent campaigns. Vettel spoke to Formel1.de on his and the team's season. The German has been at Ferrari for three years now, and the 2018 runner-up reflected on those three years: "I think we've made tremendous improvements across the board, my job is to drive the car - I'm not responsible for vehicle design or team structure, that's not my job. "But as part of the team and as an observer, I think we can say that the team has made huge strides, we have very good people, talented, smart people, who come up with different solutions, ideas, concepts all the the ingredients together. What we still lack is the very last step but I'm pretty sure we can fix it." At one stage of this season, Vettel was leading and so too were Ferrari; resulting in loads of criticism of Vettel's inability to cope with pressure. "I do not read much, but my credo has always been: You're not as good as they say when they praise you, and not as bad as they say when they criticise you."